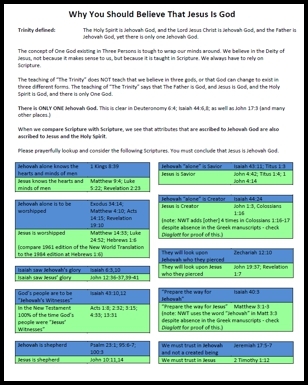 Home 2014 January Blog Where in the Bible is the Trinity Taught? 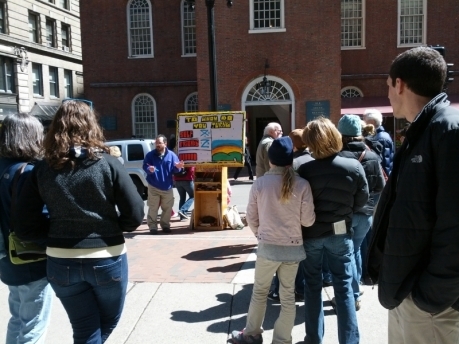 I recently met a young man named Nathan while ministering in the Boston Subways. Nathan appears to be seeking for truth, but he told me he has a hard time believing in the Trinity because it’s hard for him to grasp. When I was a new Christian, some Jehovah’s Witnesses shook me up and made me wonder if it is Biblical to believe in “The Trinity.” I researched and prayed and wrote an article showing where in the Bible the doctrine of the Trinity is taught. I recently updated this article and it’s available for FREE at the link below. I emailed a copy of the essay to Nathan. I also made it available on my website for free and I invite you to check it out. 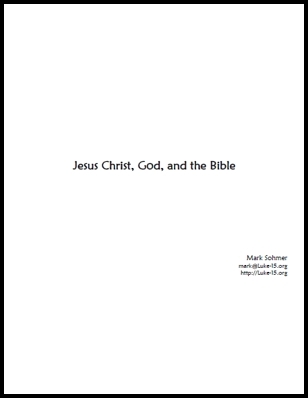 You can click on the graphic below, or you can get the essay at: http://Luke-15.org/JCGB.pdf. I hope this essay is a blessing to you and helps you draw closer to our God: Father, Son, and Holy Spirit. 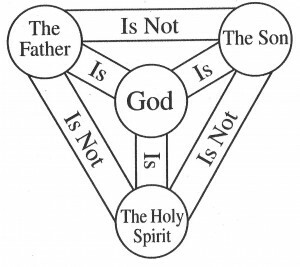 Also, a few years ago I was asked to teach on “Why It Matters That Our God is Triune.” I’m not teaching on “how to defend the Trinity,” but “why it matters” that our God is Triune. What difference does it make to the single mom, or the young man struggling with his future, or the teen considering suicide? What difference does it make to someone leading a seemingly normal life? The fact that our God is Triune has far-reaching implications, and this video seeks to point those out. This video will help Christians grow closer to the God of the Bible! If you want a few very quick Biblical citations that show that Jesus is God, please check out the page, “Three Easy Bible Passages that Prove Jesus is God” at: http://Luke-15.org/three-easy-bible-passages-that-prove-jesus-is-god/.